ALC Custom Landscapes has provided landscape contracting services throughout Carroll County and Howard County Maryland and Baltimore County MD since 1990, specializing in design / build projects. Family-owned and operated, ALC is fully licensed and insured. ALC provides unique landscape and hardscape solutions and designs, quality installations with exceptional attention to detail, and maintenance services to keep your landscape functional and attractive. Their specialty is creating outdoor living space for you and your family to enjoy for a lifetime! The owners will be involved in your project from start to finish assuring you of a top quality job that you are thrilled with. Complicated and detailed designs and layouts are no problem. If your project requires electrical, plumbing or gas work, we have a network of licensed contractors in addition to our own in-house landscape / hardscape professional staff. When we start your landscape design project we will utilize all of our resources until the project is complete which means not only completion of your landscaping / hardscaping project but also cleaning of all disturbed areas and seeding or sodding of all exposed soil areas. 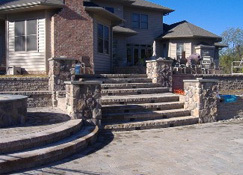 ALC Custom Landscapes Inc. can create permanent solutions for all of your outdoor living needs. 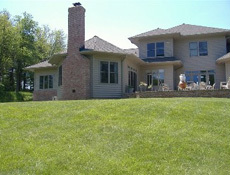 We are a "One Stop Shop" to your outdoor living dreams. We can design your landscape/hardscape project with your ideas and input from a small garden, walkway or patio to an elaborate pool patio project with streams, waterfalls, outdoor fireplaces, kitchens and lighting. We can plan the whole construction process to be completed as a whole or in phases depending on your needs and budget and provide you with a no-worry construction process with guaranteed results. Please browse through our website for more information and photos.